Highlights of the Sky Bet League Two match between Doncaster and Morecambe. League Two leaders Doncaster failed to win for the first time in 2017 after being held to a 1-1 draw by battling Morecambe. Lacking their usual high tempo in their play, Doncaster were made to work by a Morecambe outfit full of industry and endeavour. 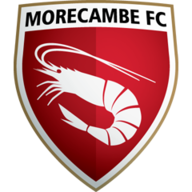 Peter Murphy put Morecambe in front before in-form John Marquis levelled after the break. Both sides had goals ruled out for offside in the early stages, with Andy Williams and Michael Rose netting for the hosts and visitors respectively. There was no doubts as Morecambe took a surprise lead after 24 minutes. A scruffy first touch for skipper Murphy worked in his favour, presenting him with space to curl a fine effort past Ian Lawlor. 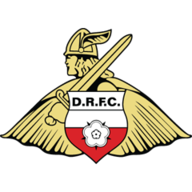 Doncaster emerged for the second half with more urgency and James Coppinger curled wide from 20 yards before Conor Grant clipped a free-kick over the crossbar. Rovers finally levelled after 56 minutes when Marquis deftly side-footed home from 12 yards. Doncaster looked the more likely to grab a winner and Marquis drilled wide from 25 yards with their best effort, but Lawlor had to be alert to keep out a late shot from substitute Rhys Turner to keep the scores level.